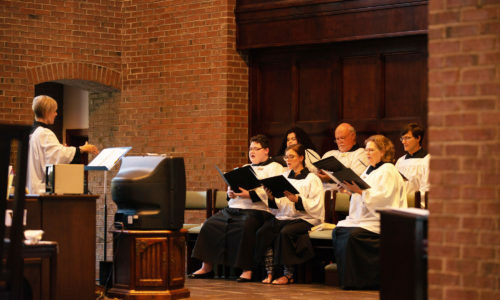 Worship is the focus of the Music Ministry at St. Christopher’s Episcopal Church. 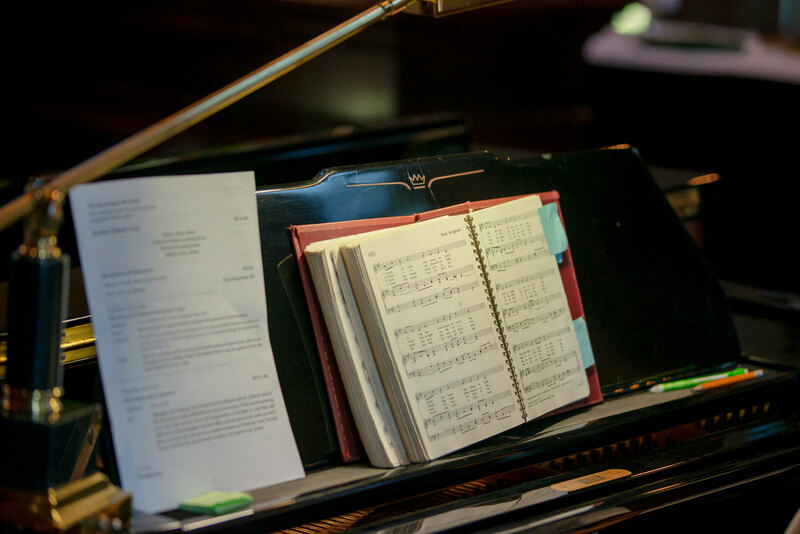 Membership in any musical ensemble is open to anyone interested in preparing and presenting sacred music. Music reading skills are a plus, but not required. Please contact Anne Denbow at adenbow@stchrisonline.org if interested in participating. We would love to have you! St. Christopher’s is very fortunate to have a 5-octave set of handbells. 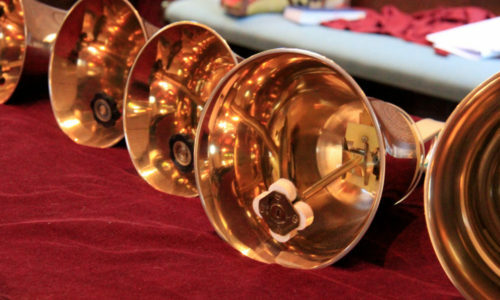 The handbell choir is made up of church members who practice weekly October through April. The handbell choir usually performs 3 times during the year. There are also duets and quartets presented during the summer months by those interested. The handbell choir, led by Joanne Metz, rehearses in the sanctuary on Tuesday evenings from 5:15 to 6:15 p.m. If you play an orchestral instrument and are interested in sharing your musical gift during worship services, please call the church office (585-2858, ext.14) or e-mail Anne at adenbow@stchrisonline.org and let her know. We are looking for singers and instrumentalists to assist in our weekly Wednesday Celtic Evening Prayer Service from 5:45 pm till 6:15 pm. The musicians meet at 5:15 pm to rehearse that day’s musical offerings. This is a low-key casual service, so it is a great way to break into the musical scene at St. Christopher’s! The adult choir rehearses on Wednesday evenings from 7:30 – 9:00 p.m. in the choir room and on Sunday mornings from 9:15 to 9:45a.m. in the sanctuary from the first day after Labor through the Sunday of Pentecost. During the summer months, the choir meets at 9:15 a.m. on Sundays only. This choir leads the musical worship every Sunday at the 10:00 a.m. worship service and for other special services throughout the church year, including Christmas Eve, Holy Week Services and Evensongs. preceding the Festival Holy Eucharist at 11:00 pm. 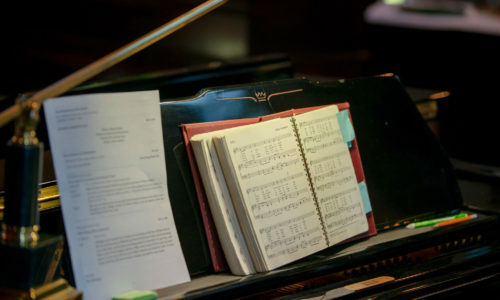 Duets and solos are offered by our Section Leaders, in addition to instrumental pieces and choral motets. It is always a beautiful service, both visually and musically!